Go green and get free stuff from some companies that have great recycling programs like MAC Cosmetics and Apple! 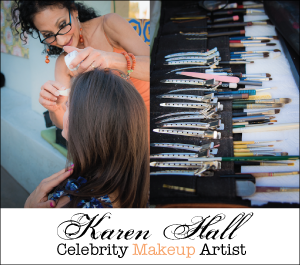 This article corresponds with my segment on the Your Life Arizona show that aired this week. When my morning show producers asked me to do an earth-friendly segment, I jumped at the chance. My parents raised us to be green! Not green with envy or green with inexperience, but the good kind of green. The earth-friendly way. I have tried to carry that tradition on with my own family. Here is what we do to be as green as we can and there are also a few company programs when you can get cool stuff back for your recycled products like with MAC Cosmetics and Apple. If you missed the morning show segment or saw it and want more details, it is all here below. So, read on to see the good stuff and help the earth while you are at it! Did you know that you may be able to earn an Apple gift card with your old device? 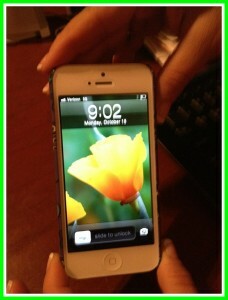 Apple GiveBack is a device trade-in program offered by Apple. They work with trade-in partners who give the customer an estimated value based on the device information provided. 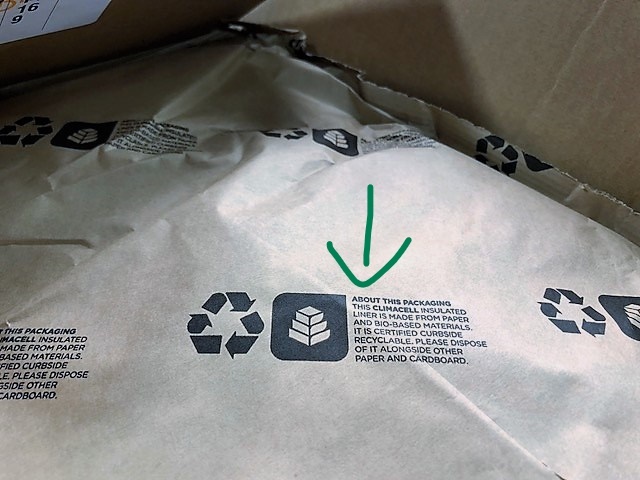 If the quote is accepted, Apple’s recycling partner sends the customer the shipping materials (at no cost), and the device can be sent in for recycling. But the best part is that if Apple’s partner determines that the device is in the good condition stated by the customer, then the customer receives an Apple Store gift card for the quoted amount. That is awesome! If the device is not in the stated condition, then you get a new quote that can either be accepted or just send the device back for free recycling. All Apple devices are accepted for consideration and the personal data is completely wiped clean so it is a good security measure to go through Apple as well when discarding devices along with the earth-friendly recycling! Great program! *Sun Basket Meal Delivery uses all recyclable materials, which is one reason that I choose them. The stuffing inside the box is an insulated liner made with paper that is recyclable in my blue bin. Furthermore, the ice packs used by Sun Basket are made with a gel that is 98% water and 2% non-GMO cotton. To recycle the ice bags, I simply cut the ice pack open, drain the gel into my trash and then the plastic ice covering can be recycled. I also like the healthy and organic meal options, so Sun Basket has become my favorite recipe meal delivery service. 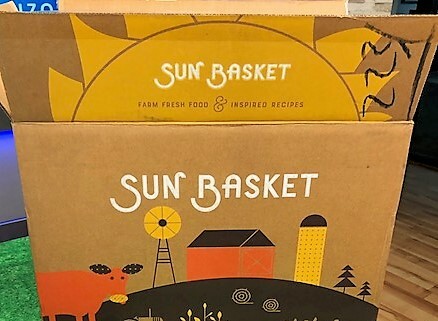 More info at sunbasket.com. 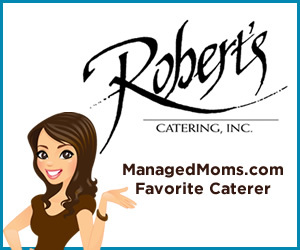 *Repurpose Coffee Cups – I found these cool on-the-go coffee cups at Natural Grocers. Made 100% from plants, these cups are renewable, BPA-free and compostable. 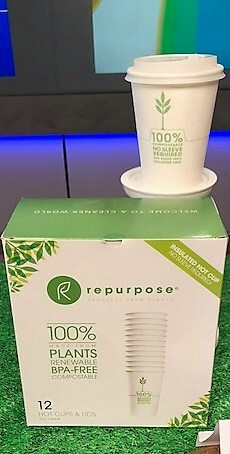 Not only are these cups earth-friendly, but a sleeve isn’t needed as the unique insulation has a nice grip and doesn’t become too hot to hold. 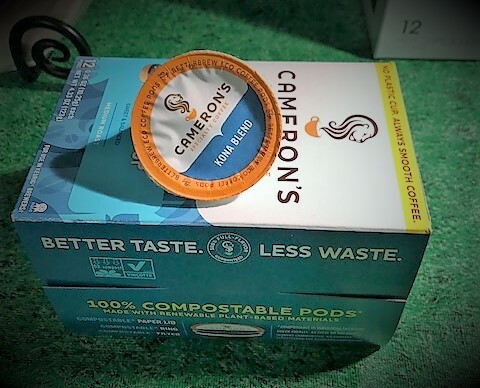 *Cameron’s Specialty Coffee – The super popular convenient coffee pods are not all earth friendly, but the Cameron’s brand use EcoPods that have compostable paper lids, rings and filters. The lidding is made from paper and the ring from corn, beets and wood. The box that houses the coffee pods also has a cool message on the bottom of the box that says, “100% recycled paperboard contains 30% post-consumer waste. Recycling this box results in re-recycling, which is pretty neat.” I like that! I buy this brand at Sprouts Farmers Market locations. 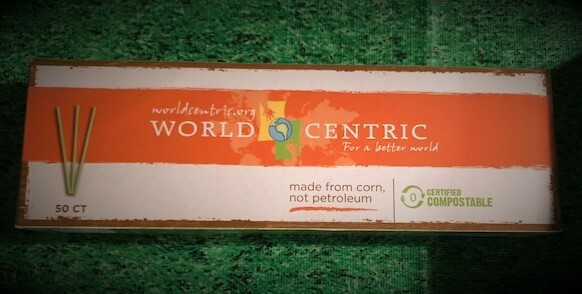 *World Centric straws – Straws are becoming another big environmental concern so I like this brand because the straws are made of corn, not petroleum. 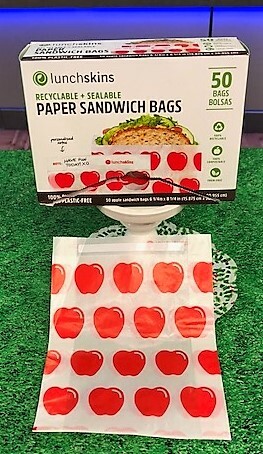 Plus, they are compostable. 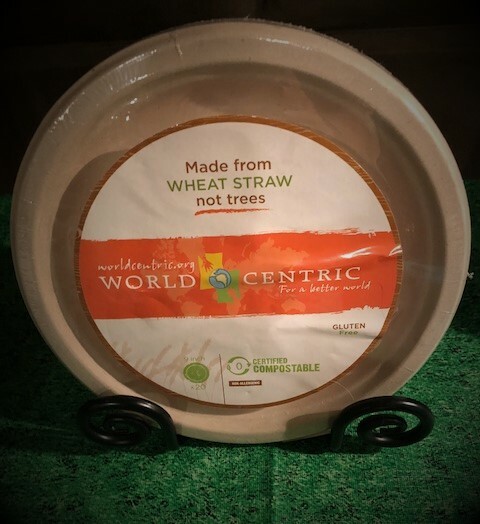 *World Centric plates – An alternative to standard paper plates, this brand makes them from wheat straw, not trees. Plus, they are compostable, so they turn into soil within 1 to 3 months. *Lunchskins Paper Sandwich Bags – Not only are these bags cute for kids, but they are made of paper, are sealable and recyclable. I found several fun designs at Natural Grocers. 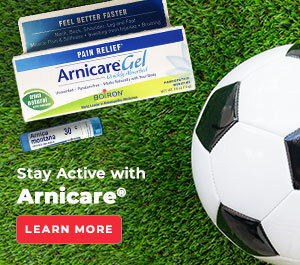 *If You Care Quality With Integrity Aluminum Foil – Made with 100% recycled aluminum that can be recycled along with the box it came in. Sold at Natural Grocers. 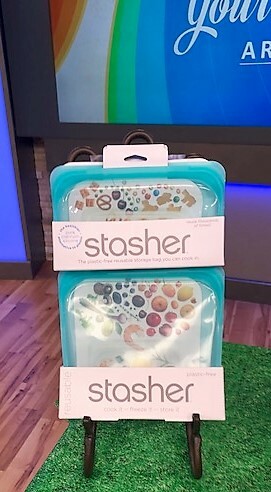 *Stasher Reusable Storage Bags – Instead of adding to the ever-increasing piles of plastic in landfills, try this line. 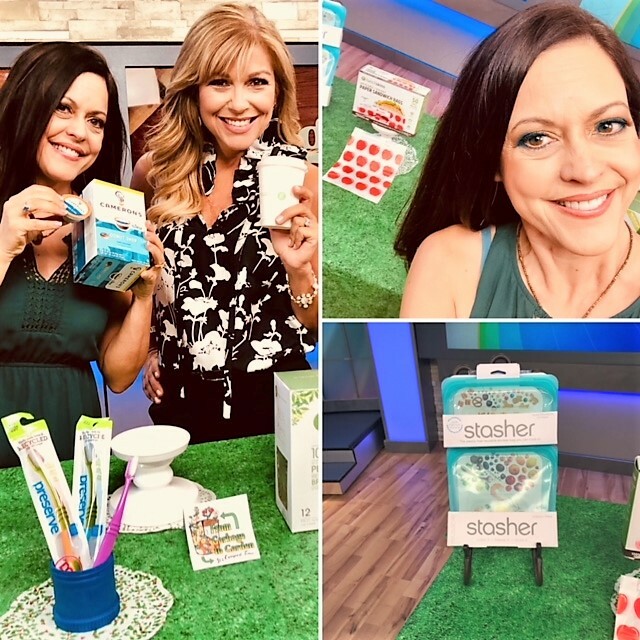 Stasher products are made of pure platinum silicone, which is a better alternative to plastic. I haven’t tried this, but the packaging says that food can be cooked in this as well. It can also be washed in the dishwasher and used in the microwave. I haven’t tried any of these options yet, but I love that I can reuse it again and again. So, no more plastic baggies for our green family! Silicone is made of natural elements sand and oxygen and (the packaging says) is as pure as glass. 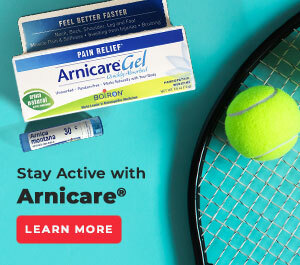 It is plastic-free, hypoallergenic, BPA and BPS free and it complies with FDA and European food-grade standards. No fillers, byproducts and this company is women owned. So cool! *The Green Brush – This cool comb is made with 100% bamboo wood, both the handle and the bristle. The tag on the comb explains that bamboo is one of the most sustainable resources and environmentally sound plants on earth. It has a rapid regrowth cycle and 25% higher yield than timber so it can be harvested with very little impact to the environment. *MAC Cosmetics Back-to-MAC Program – I love the MAC line and wear their lip liner, lip stick and lip gloss. I also love their green program. The MAC website explains that they accept returns of MAC primary packaging through the Back-to-MAC Program. 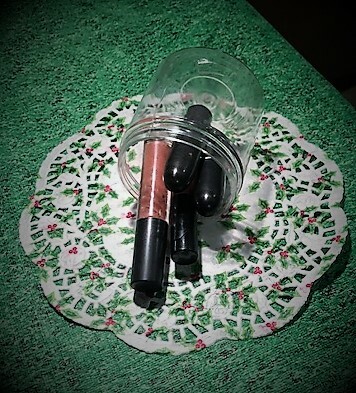 Customers can return six MAC used up cosmetics in the primary packaging container to a MAC Cosmetics owned and operated store and receive one free MAC lipstick, lip gloss or single eye shadow (up to an $18.50 value) of choice. A few things to know about this program as you save your MAC containers…MAC takes back MAC Cosmetic containers made of plastic or glass, so brushes, pencils or other non-plastic or glass items don’t count. Also, the freestanding MAC stores will award the customer a free MAC lipstick, lip gloss or single eye shadow (up to $18.50) of choice. However, the MAC counters in department stores are only allowed to give a free lipstick. Still an awesome program though! *Preserve Toothbrushes – I keep a stash of these handy toothbrushes on hand for houseguests who may have forgot theirs. I do this because I love that these toothbrushes are made from recycled yogurt cups, are BPA free that the company has a Gimme 5 recycling program. The used toothbrush and other #5 plastic products can be returned through their gimme5.com website program. For every six toothbrushes that are sent back to Preserve, the company rewards the consumer with a $6 coupon that can be redeemed at Preserve’s online store. I buy my Preserve toothbrushes at Trader Joe’s or Sprouts and then order my two free ones (Preserve toothbrushes are $3 each) at preserve.eco after recycling the six used ones at gimme5.com. Terrific program! *Seventh Generation 100% Recycled Facial Tissues – Made with recycled paper, I like to support companies who support recycling and make products with recycled materials. By choosing Seventh Generation recycled paper products, instead of virgin paper products, the company states on their packaging that the purchase has helped to save more than a million trees in the past 25 years. That is green goodness! 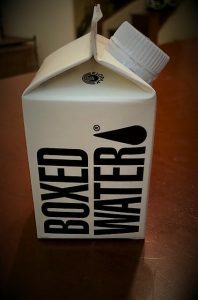 *Boxed Water is Better – To cut way back on the large number of bottled waters that we used to keep in the fridge for our busy on-the-go lifestyle, I have switched to Boxed Water. We like the small 8.4 oz size. Boxed Water also sells the bigger 16.9 oz container or even bigger 1-liter box. The boxes are cute, lightweight and we think that the water tastes better boxed, too! And this means less plastic ends up in the landfills, oceans and land. 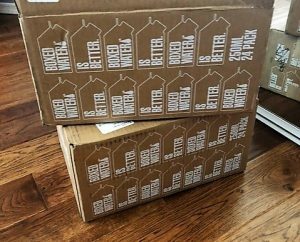 Every month I order several cases of Boxed Water and it is delivered to my doorstep. There is a downside, though. Boxed Water is going to cost you more than bottled water. 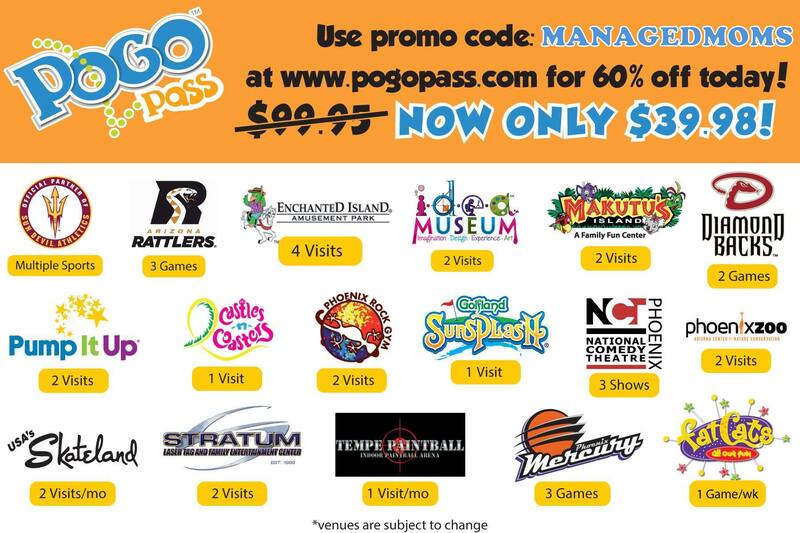 For now, I choose to spend more on this and less in other areas, like less junk food purchases (well…most of the time). Try it for yourself at boxedwaterisbetter.com. When I checked the website yesterday, there was an offer on the Boxed Water home page for 10% off the first order. *We buy it, we recycle it – My family will tell you that when we are out, if we must buy bottled water, then my rule is that we take the empty bottles home to put in our blue recycling bin (if a recycling bin is not offered where we are at that moment). The movie theater is a perfect example. They sell bottled waters galore, but I have yet to see many recycling bins at the movies. What great green products or companies did I leave out? Share in the comments section as we love to be as earth friendly as possible. Our magnificent Mother Earth is worth our efforts. And so is the next generation that we must work to protect the environment for every day. thank you for article targeting environmental alternatives. I was especially interested in use of plastic straws ( made with petroleum.) I have requested my grocery stores stock paper straws. Had not heard about straws made with corn. Thank you so much for getting word out. Thanks for letting us kmow about Best Buy! Didn’t know that! !